The demand for mobile applications has increased exceptionally around the world. With the introduction of multiple platforms, Mobile Application Development Companies’ aim is not only to build an app, but the concern is to build the app for each platform. WORA - Write Once Run Anywhere, allows the developer to write a piece of code at once, which can run on multiple platforms. Furthermore, the design and application created once works wonderfully on various platforms such as Windows, Android, iOS and BlackBerry OS. With the diverse mobile platforms, the Cross-Platform App Development became a viable commercial option. Now, instead of the native app development, the Cross-Platform Development Framework with a single code composition started ruling the Mobile App Development world. It helps you not only with your development investments but also with all the hassle you were facing while updating and managing services or processes. There are many such platforms available to help you with Cross Platform Mobile App Development. Before ranking them, one needs to analyse the speed, features, support and development cost. Have a look at the best 10 cross platform for Mobile App Development. Xamarin is a quite popular cross platform development tool that lets you build native Android, iOS and Windows app, with the help of a single shared C# code base. It allows you to implement the similar APIs, IDE and language everywhere. Cross Platform App Development with Xamarin, can be tested on a number of devices. Moreover, Xamarin offers easy integration with backends such as Foursquare, Microsoft Azure, Parse, SAP and IBM. No platform can beat Xamarin when it comes to applying Ruby or C#. Also, the git integration is built directly into the Xamarin studio. Xamarin supports MVC (Model View Controller) and MVVM (Model View ViewModel) structure. This allows Cross-Platform App Developers to keep application logic and presentation separate. Also, enables them to modify, update, test and maintain the application code easily. Xamarin allows developers to achieve up to 96% code reusability, helps them save time and put more efficiency on other important features. The platform is now owned by Adobe, which goes the same way to explain its increasing popularity. Adobe is also developing an enterprise version of PhoneGap. It is based on open source Apache Cordova. Cordova is a set of device APIs that enable applications to access particular, native device functions over various device platforms. Utilizing the cross-platform plugins, and Apache Cordova APIs, Mobile App Developers can build applications utilizing HTML5, CSS3, and Java Web languages. This will help to develop singleton application that will run on multiple mobile platforms. “The thought behind the Cordova is straightforward.” You are able to compose an application once and you will be able to run it on an entire suite of various devices. 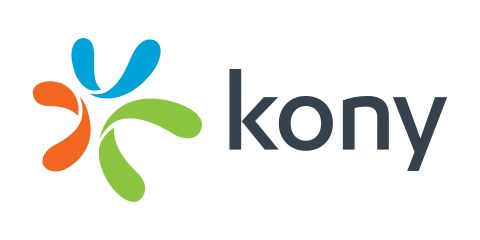 Recently, Kony launched the mobile fabric platform and claims that it is the first Enterprise Mobile App Development Solution that brings multiple cloud service and middleware tools together. As it backed by Facebook, you can expect regular updates on this framework. Now, If you want your apps to perform best over all the available mobile platforms, React Native is the best hybrid solution. Ionic is an open source cross platform framework used to develop a hybrid cross-platform solution. Ionic is using web technologies such as HTML5 and CSS. It is a powerful HTML5 SDK that helps to build native-feeling Mobile Apps using most popular web techniques. It is mainly focused on the UI interaction of the app. Also, Iconic uses AngularJS for a number of core functionalities for the framework. While it is possible to Iconic with just the CSS part. As a matter of fact, an experienced Mobile App Developer will definitely suggest investing in AngularJS as it is one of the best options to build Browser-based applications. Iconic is not only looks great but also powerful enough to build the amazing apps of each vertical. If your requirement is developing a data-intensive Cross Platform App that can support hardware acceleration techniques, then Sencha is the ideal framework to choose from. It offers a number of tools for cross-platform app development: Sencha Animator, Sencha Architect, and many more. To develop an enterprise mobile app, developers can use Ext JS 5. The Sencha Ext JS 5 unleashes the ability of HTML5 on modern browsers. 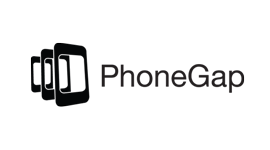 It allows developers to build HTML5 apps, and can then be converted into the native mobile apps with the help of PhoneGap. This finest approach was adopted by clients such as Google, Samsung and CNN. Sencha Ext JS powering the developers to build apps which has a great business intelligence for data analytics and visualization. Moreover, it offers inbuilt native looking themes for all mobile platforms. Framework7 is an HTML framework to build Android and iOS apps. It is one of the free cross-platform mobile app development tool powered by Apache Cordova. It provides an application framework which is built on Vue.js. This framework recreates standard iOS Designs and Google’s Material Design patterns to replicate the “native look” mobile users expect. Also, it can be used with other frameworks such as Angular or React if you want. The order doesn't reflect the superiority or inferiority of any particular platform. Every tool is capable of dazzling Cross Platform App Development, hence the selection should be done as per the requirements of the project. Always look for future benefits and go for the feature-rich cross platform app development solution which offers a wide range of Cross-Platform Mobile Solutions across the globe using latest technologies according your diverse business needs.